It’s that time of year, outdoor bbqs, summer picnics, family reunions, and having fun. 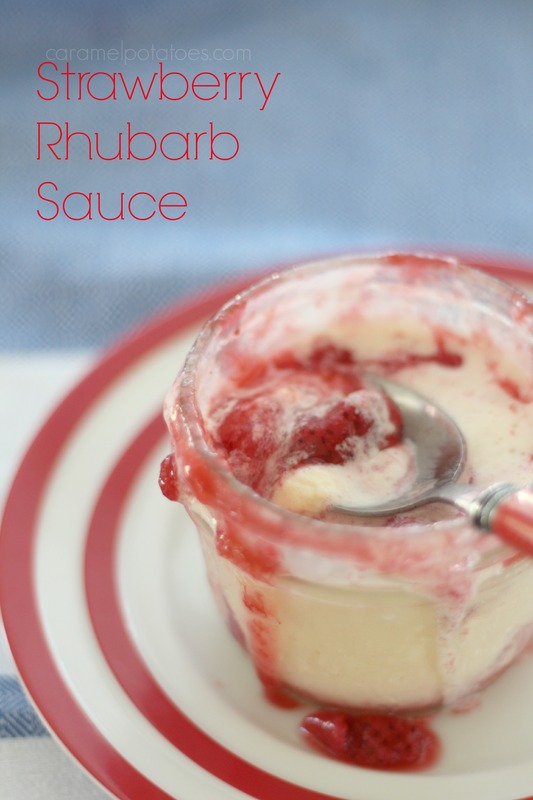 This Strawberry Rhubarb Sauce makes up quick and adds lots of fresh summer flavor to any breakfast or makes a beautiful ending to any summer meal. 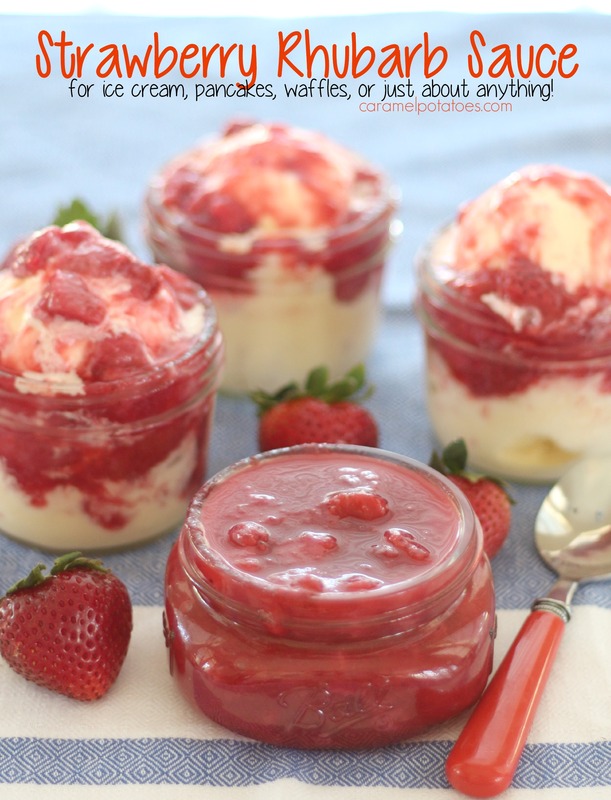 Try it on ice cream or pound cake for a simple, but wonderful dessert. 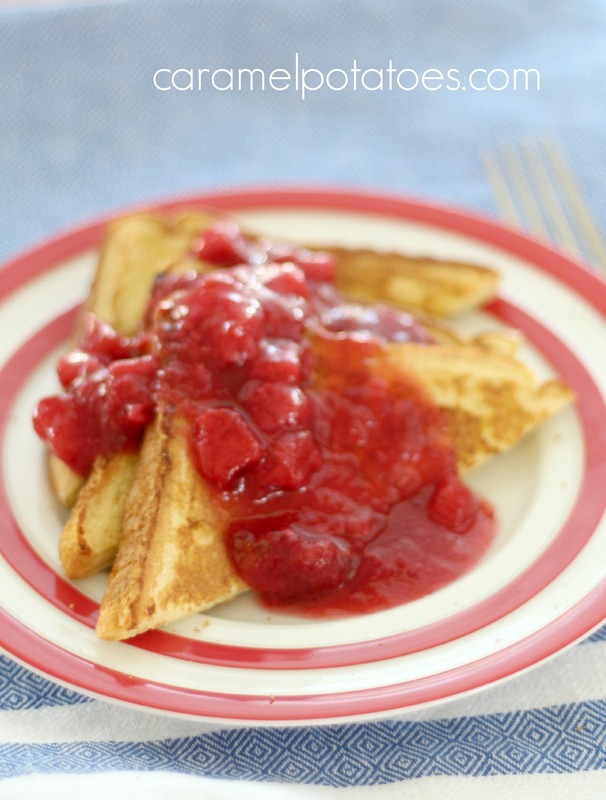 Or add it to waffles, french toast, or crepes for a delicious breakfast or brunch. Combine rhubarb, water, sugar, and salt in a medium saucepan. Bring it to a boil and then reduce heat to medium and cook for 15 minutes. Add strawberries, lemon juice, and food color. Continue to cook for another 10 -15 minutes or until rhubarb is soft and tender. Remove from heat and cool. Makes approx. 2 1/2 cups of sauce.